Dutch universities are increasingly picky about the quality of student they admit to their Master programmes. The latest is Rotterdam School of Management, Erasmus University (RSM). The school has just announced that from September 2017 internal students with a bachelor degree from RSM or from Erasmus University Rotterdam will need a weighted Grade Point Average (GPA) of 7.0 or higher to be eligible for any one of RSM’s master programmes. The move has been met with resistance in some quarters, not least of all students. For entry into Wittenborg’s MSc programmes or its MBA programme students need an overall IELTS score of 6.5 with at least a 6 in the writing component of the test. 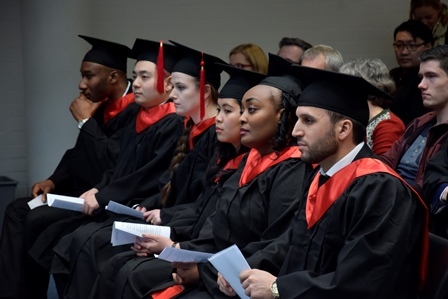 Alternatively to the requisite GPA of 7, Rotterdam will accept a Graduate Management Admission Test (GMAT) score of 600 or more. These criteria already apply to bachelor graduates from other universities. Besides Rotterdam, students from the Vrije Universiteit wishing to do a Master in Political Science also need to attain a 7 in their bachelor studies, the Volkskrant reports. Additionally, students are required to write a letter of motivation and prove their proficiency in English. The same goes for political science students at Leiden University. Other institutes of higher education in the Netherlands are reportedly considering the same policy.